Melinda Nadj Abonji was born in the small town of Bečej in Serbia. Her family belonged to the Hungarian minority there in the province of Vojvodina. At the age of five, she emigrated with her parents to Switzerland, where she grew up next to Lake Zurich. At the University of Zurich, she studied German and History and gained her Licentiate qualification in 1997 with her thesis on author Marieluise Fleisser. She already began to write as a student and made a name for herself with experimental readings and poetic musical performances. She has also enjoyed a successful joint stage career since 1998 working together with rap lyricist Jurczok 1001. Linguistic experiments characterise her literary work, which also draws from the polyphony of every day life. She was invited to take part in the competition surrounding the Ingeborg Bachmann Prize where she read excerpts of her debut novel »Im Schaufenster im Frühling« (Eng. »In the Shop Window in Spring«, 2004), allowing her to reach a wider audience for the first time. In this book, the author tells the story of a young woman called Luisa whose traumatic childhood experiences are closely interwoven with what is going on in her life at present; the strongly rhythmical everyday language used by the author, which often works with repetition, leaves behind an unreal, swirling impression on the reader. Swiss daily newspaper, the Neue Zürcher Zeitung, wrote: »Love is deception: this is what the brittle, sad text seems to be saying, and the permanent war already begins in childhood, in the family.« While this debut already gained her some degree of recognition, her second, strongly biographical novel »Tauben fliegen auf« (Eng. »Pigeons Fly Away«, 2010) brought her ultimate breakthrough. This work of prose is also marked by rhythmic language that takes much of its character from the rhythm of an artificial yet mundane language, with which Abonji wants to make her »pledge to the multivocal« come true. The book is the story of the young girl, Ildiko Kocsis, who emigrates from Serbia to Switzerland with her parents as a child. In endless sentences that cascade down upon the reader, the main character speaks about family visits to the former Yugoslavia, about the difficulties of settling down as an immigrant in Switzerland, and about the Balkan conflict. In the author’s texts one can recognize influences such as the experimental poetry of Ernst Jandl, a linguistic interlacing similar to that found in the work of W. G. Sebald and an affinity in content to the everyday subjects dealt with by Marieluise Fleisser. 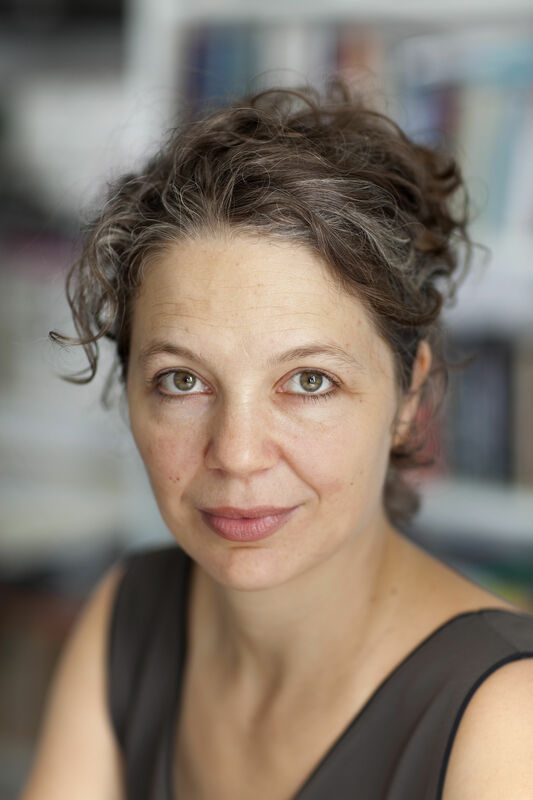 Melinda Nadj Abonji has received many accolades for her work, among these the German and Swiss Book Prizes, the Hermann Ganz Prize and the Border Crossers Stipend awarded by the Robert Bosch Stiftung. The author lives and works in Zurich.